I love shopping in ethnic markets. The colors, the fragrances, the new ingredients spark new ideas. I will admit to a little anxiety at times though. Sometimes all that unfamiliarity can be a little overwhelming. There’s a lot of market exploration to do in Hadley, so to help you walk in with confidence here are some our favorite ingredients, pictures of what they look like, and tips on how to use them. Aji amarillo are dried medium-hot yellow peppers. They are a key ingredient in Peruvian cooking and are used in many forms. They can be soaked in warm water to soften them before puréeing or chopping. They have a fruity flavor that complements vegetarian dishes and fruit salsas. Try aji amarillo in Kidney Beans Stewed with Aji Amarillo Sauce. Piloncillo is sugar. Talk about an understatement. Made from unrefined sugar, piloncillo has a deep, rich, caramelized flavor that is a great complement to cool-weather baking. Use a grater to shave off the amount of sugar you need for a recipe. If you need a large quantity, you can soften the sugar block in the microwave for a few seconds. This is the original brown sugar: If you visit Historic Deerfield, you can see “sugar loaves” that look very similar. Try piloncillo in Black Beans with Piloncillo and Cumin. You may have eaten hominy before. 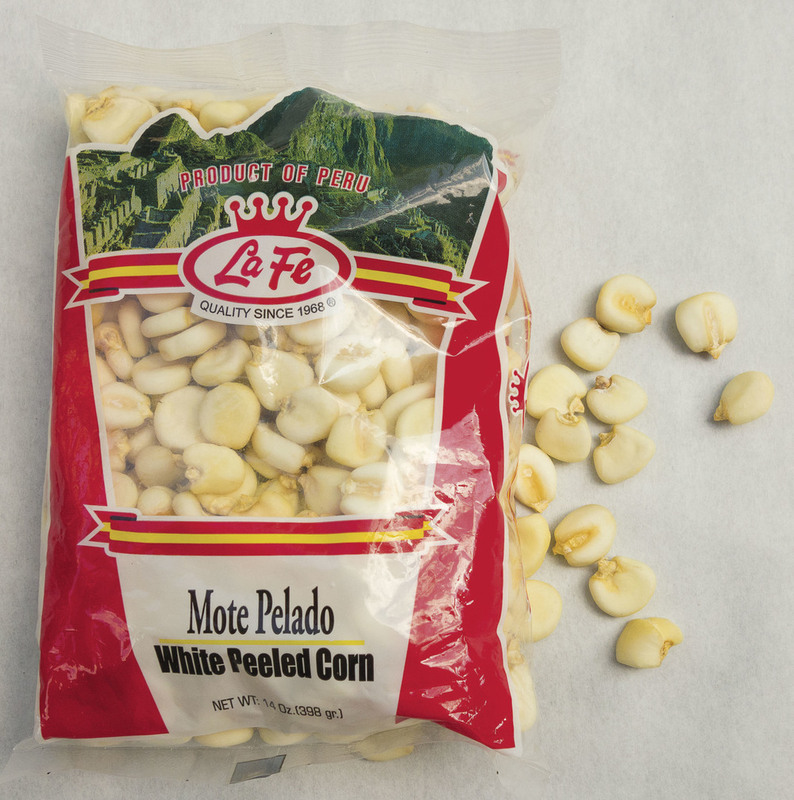 Maiz mote pelado is uncooked hominy: white corn that has been treated with lime to remove its skin. Mote pelado is used often in Ecuadorean cooking and throughout South and Central America. It is prepared simply: Soak the grains overnight in water, and then simmer until cooked through and tender. The cooked grains will not double in size but will get much larger. Enjoy its flavor as-is or flavor the corn with sautéed onion, garlic and herbs. Enjoy maiz mote pelado in a batch of Homemade Corn Nuts for a filling entree, try Posole Verde from Pati Jinich and Pati’s Mexican Table. Tran’s World Food Market has an extensive selection of Asian ingredients in addition to items from India and the Caribbean. The noodle aisle at Tran’s has a lot of choices and it can be hard to find the right noodle for your recipe. Fortunately most options are fairly inexpensive, so a “wrong” choice won’t cost a lot. If you aren’t sure what you’re looking for, chuka soba(中華そば) is always a safe choice. Traditionally thought of as the “ramen” noodle, it’s easy to cook (just a few minutes in boiling water) and will work in many different preparations. Black cardamom (草果) is closely related to the green or white cardamom you see in the baking section. It has a much stronger flavor, however, and is generally used in savory dishes. In Sichuan cooking it is often paired with Sichuan peppercorns in braised dishes. You either crush a pod and sprinkle the seeds into your dish while it’s cooking or drop the whole pods into your pot (in which case you’ll want to remove them before serving). Black cardamom is a key ingredient in Red Cooked Beef with Daikon. 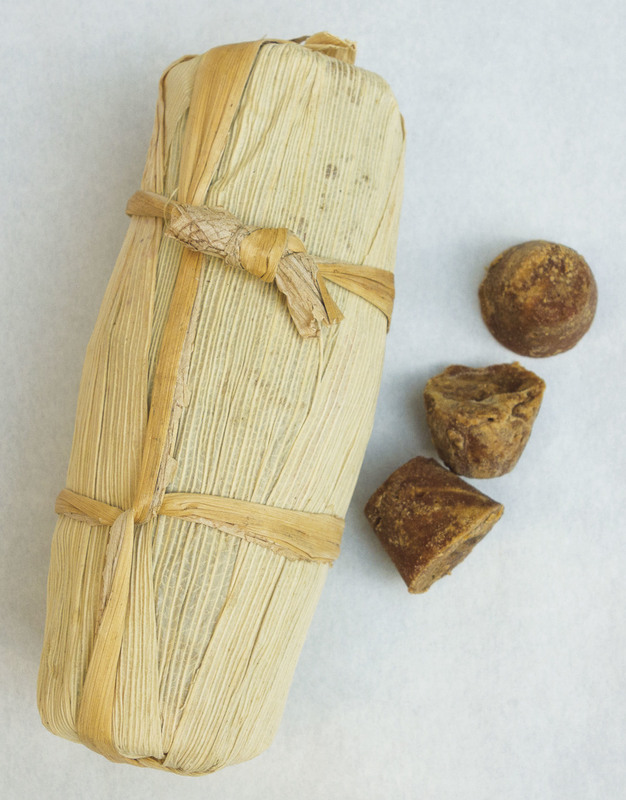 Asafoetida is an herbal resin used to add a characteristic flavor to certain Indian and Nepalese foods (see the recipe for Gundruk in this issue). In the US, most asafoetida is sold in powdered (also called “compounded”) form, although you can occasionally find chunks of the resin for sale. It adds an onion or garlic fragrance to dishes and it pairs well with lentils and tomatoes. Asafoetida lends its fragrance to Sweet and Sour Winter Squash and Fragrant Broccoli Sauté. This market is connected to Gohyang Korean Restaurant. They make their own kimchi and offer primarily Korean ingredients. 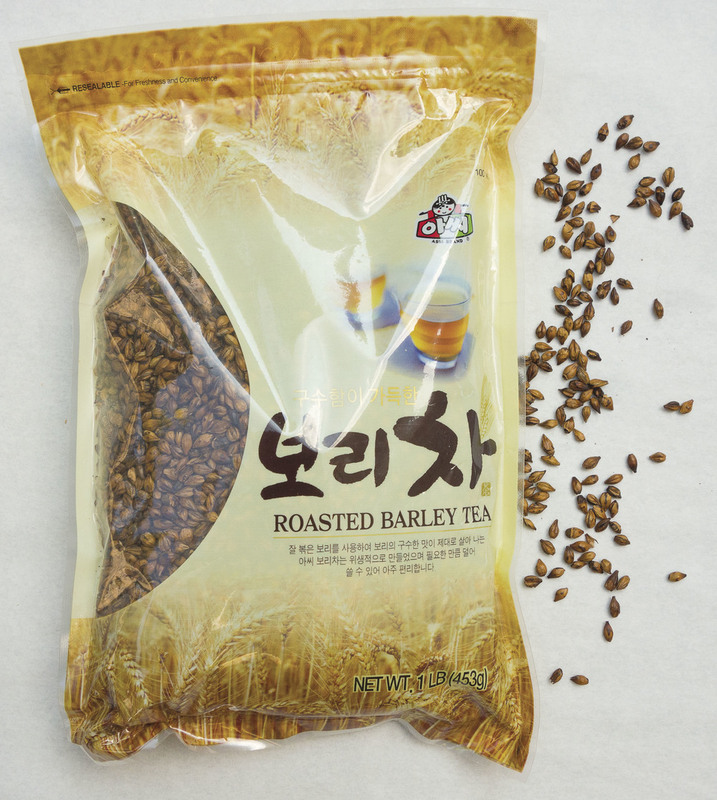 Roasted barley tea (boricha, 보리차) is a popular drink enjoyed year-round in Korea. You can buy “tea bags” filled with barley, but it’s very easy to use the loose grain to make it. It has a toasted nutty flavor that makes for a very satisfying cup. It should be noted that this tea is caffeine-free, but since it is made from barley it does contain gluten. Kimchi (김치) can be found throughout the Valley, but Kim’s is worth a trip. Available in containers from half a cup to a gallon in size, their version is bright and just a little spicy. When fresh, it’s a vibrant addition to a slaw or sandwich; let it ferment on your counter for a few days, and it gets funky and pungent. A quick and easy way to use kimchi is in a simple slaw. 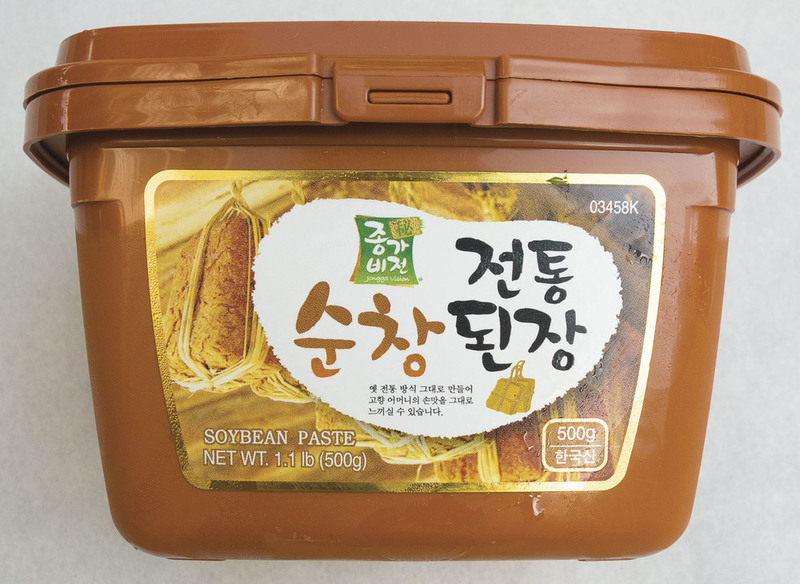 Soybean paste (doenjang, 된장) is a key flavoring component in many Korean dishes such as doenjang jigae, a rich and aromatic tofu stew. Not to be confused with miso, which is also made from soybeans, doenjang has a more assertive flavor. It is frequently mixed with garlic, sesame, and fermented chili-soybean paste (gochujang, 고추장) to make ssamjang, a dip for lettuce wraps. Maple Farm Foods offers a full selection of produce, grocery, prepared foods, and deli and bakery options. In addition to Middle Eastern ingredients, they also have a great selection of Asian and Indian ingredients. Dried limes (limoo amani) are used in Middle Eastern cooking as a souring agent. Rinse off two or three, prick them with a knife, and add them to a bean and vegetable stew for a slightly sour, piquant note. They are an interesting addition to dry rubs and seasoning mixes too. Carefully cut the limes in half, remove any seeds, and grind the limes to a powder in a clean coffee grinder. Use the powder to flavor grilled or roasted lamb or chicken. Dried limes add an rich fragrance to Lamb Stew with Dried Limes. Red pepper spread (ajvar) is an ingredient with an exotic name. After you’ve opened the jar, you’ll immediately realize how easily it will become a pantry staple. Ajvar is a Balkan red pepper spread, made to preserve bountiful harvests of peppers and eggplant. It can be found in mild and hot versions. On its own, ajvar is a great dip for chips or vegetables, but it can also be used as a pasta sauce or sandwich spread. For a simple supper, make a potato hash, stir in ajvar, and top the whole mess with a fried egg. Yufka leaves are a key ingredient in the flaky Turkish pastries known as borek. Yufka is similar to phyllo dough, but these leaves are precut into wedge-shaped sheets that are little easier to work with. Borek come in many shapes, and these triangular pastry leaves are used to make a “cigar” shape. Place about 1 tablespoon of filling (herbed cheese, spiced meat, sautéed mushrooms, etc.) at the wide end of an oiled or buttered sheet and roll the filling up, tucking in the edges as you roll. Pan fry or bake until crisp and golden. Try yufka in cheese "cigars".